Unless something totally unforseen happens, Denmark will begin to participate in the war against ISIS and Co., this week. But a week ago it was only a humanitarian mission. Denmark’s participation in the Iraq war and as occupying power 2003-2007 is, without a doubt, the worst and most criminal piece of foreign policy since 1945. It was decided by the government of Anders Fogh Rasmussen who afterwards was rewarded by being appointed to the post of NATO S-G.
Now a military transport for the U.S.
On Wednesday this week, the Danish parliament, Folketinget, will decided to continue this foreign policy blunder by authorising a Danish Hercules military transport aircraft to participate in bringing weapons into the Kurdish areas of Northern Iraq at the request of the U.S.
Conspicuously, this operation was – less than a week ago – presented to the Danish media and public as an exclusively humanitarian operation. The chairperson of the Parliament’s Foregin Policy Committee talked with passion about the need to help all the people who suffered, had fled and needed our immediate attention. At the time I thought it was a good idea. All the political parties, from the extreme right to the extreme left are now behind the military operation. And unless something totally unforseen happens, Denmark will begin to participate in the war against ISIS and Co., this week. The mission has been changed from humanitarian aid to weapons and is, according the Defence minister, ready to depart even Wednesday. Ban Ki-moon – who isn’t known for his independent views or for civil courage – has spoken out against militart resonses to ISIS terrible brutality. There is no UN mandate for such a mission. The operation militaties against UN Charter Articles 1 and 33. Fellow-Nordic countries Sweden and NATO-Norway participates with only humanitarian aid. The EU is split on what to do. The Danish decision is open-ended and can be expanded at any point. If Mette Gjerskov, Social Democrat, who chairs the Foreign Policy Committee, did not know that the humanitarian flight was to be transformed into a military one, she must ask – one assumes: What now about our humanitarian mission? And I ask: Who cheated the Danish public? It is not technically possible to start our packing a huge transport plane with humanitarian aid and 4-5 days later it is filled with weapons and ammunition? This is of course slippery-slope and not a single MP has learned anything from Libya or other failed wars Denmark has engaged in since 1999: Bombing Serbia to carve our independent, failed state Kosovo – oh oh – Crimea, that nasty Putin! – Afghanistan, Iraq, Libya (and being ready to bomb Syria until that project was called off). Beyond doubt, it is only a matter of time before the Danish operation will (have to) be expanded. The Danish Broadcasting writes that “Foreign Minister Martin Lidegaard does not exclude the possibility that Denmark at some point in the future will expand the engagement in Iraq if the situation get even more tense – and we can safely predict that the 55 Danish soldiers on board the Hercules plan will eventually become 100 or more. Even if Danish F16s are not (yet?) to bomb a country is at war when it supports the United States by transporting its weapons in defence of a local party in order to help them smash up another local party. All Danish politicians now say that this is absolutely not the beginning of something like it was 2003-2007. Remains to be seen. But when they are busy saying that it is probably because there is a risk it is going to become something similar. Wars don’t develop according to the worldview of Danish MPs – but according to their own laws. What a tragedy that the Folketinget – Danish Parliament – is so devoid of morals, competent thinking, lessons learnt and respect for international law. Just to follow the U.S.
Not one MP has the insight and/or courage to go against the selective nonsense of our times about humanitarian intervention: In some of the most inhuman wars – DR Congo with more than 6 million dead people or Gaza – no one talks abou military or civilian missions. Why ISIS and the failed war on terror? The Danish decision isn’t based on any analysis of why we are now facing ISIS – which has everything to do with the destruction of Iraq and the incredibly ignorant and ill-willed occupation administration under L. Paul Bremer and the support of anti-Assad rebels in Syria – but itdoes build on the foolish belief that you can rid the world of terrorism by killing terrorists. Since 9/11 13 years ago it should have been proved beyond doubt of even the most thick-skinned that the war on terror has only produced more terrorism and hatred – against the US/West in particular. F16 humanism is the only humanism embedded in Denmark’s foreign and security policy. 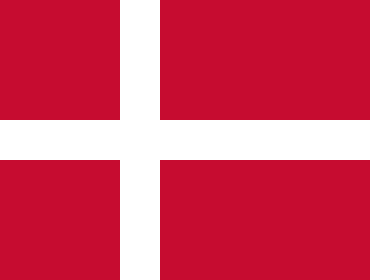 Denmark never placed as much as a single nurse at the disposal for the Iraqis – but it did participate in the killing of about 1 million innocent Iraqis by the war and 13 years of humanity’s most brutal sanctions. It’s a quite high price for humanitarianism and it was more than Saddam ever killed. Mr. Fogh Rasmussen – who can be viewed as a non-convicted war criminal – recently defended Denmark’s involvement in Iraq by saying that the invasion provided the Iraqi people with an opportunity to create a better future but they did not grab it. He added that the West had a tendency to criticise itself far too much. Where militarism goes in, democracy goes out. Those Danes who believe that peaceful means are better than violent means and who think we should uphold international law today have not even one MP who represent them. So it was too when Denmark decided to participate in destroying Libya. Party discipline and hiding in the flock and following the Ameican leaders is everything, intellect and decency nothing. Denmark’s senseless war participation has made it a rogue state with the consent of all MPs – while the Danes by and large have a nice time over a café latte with a Danish, travel a lot and enjoy their materialism. If they are the happiest people on earth (according to amateur sociological ranking surveys) – they are probably also the most ignorant about their own complicity in making the world even more hateful. I am a Danish citizen, I was an expert member of the Danish Government’s Committee for Security and Disarmament through all the 1980s. Fogh Rsmussen closed it down. If someone had told me at the time that Denmark would soon become a xenophobic warrior state I would have laughed out loudly – too much democracy, too strong international solidarity, a genuine Social Democratic party for a less armed world, peoples’ colleges, H. C. Andersen, Grundtvig, Kierkegaard – a welfare state with a good international record admired around the world – and a country where we talked about thing but didnt beat each other up. No way! Oh how thin the varnish of civilisation! Knowledgeable people tell that ISIS will soon have the capacity to threaten Europe and the U.S.. If so, undoubtedly Denmark will be one of the targets. We could do so many other things and make the world a better place. But we choose not to. The Western world including Denmark has the enemies it has created by itself. And, in reality, not many others.